British scientist William Sturgeon invented a direct current electric motor in 1832. Since that time, such motors have fostered the development of countless amazing machines that aid us in our daily lives. But a surprisingly similar motor has actually always existed. Inside our bodies. It wasn’t discovered until 1929. We didn’t know much of anything about it until 1941. And we are still learning about it today. I’m talking about ATP synthase. First a brief lesson on ATP and then we’ll investigate this amazing piece of nanotechnology in more detail. ATP (adenosine triphosphate) is a molecule used by ALL living cells to carry energy, from the smallest life forms up. It is considered by scientists as the “energy currency” of life. Our bodies use it constantly in all daily processes. No ATP means no life. In fact, rather stunningly, our bodies create almost there entire weight in ATP molecules every day! This seems unbelievable until we consider that when the energy in ATP is used, it is simply converted down to ADP and waits to be upgraded into ATP again. It remains astounding that out bodies are generating such vast amounts of ATP every day. So how is so much ATP possibly created? By a 10,000 RPM “biomechanical power generator found almost ubiquitously across life” (source here). This video released by Discovery Institute provides a beautiful and informative animation of the motor at work. A recent scientific article remarks that “the rotational mechanism of the ATP synthase demands ingeniously designed interfaces between rotor and stator subunits.” It is amazing the language that you will here the scientific community using when describing the mind blowing examples of design in nature honestly. I agree that the mechanism is “ingeniously designed” in the full meaning of that descriptive phrase. 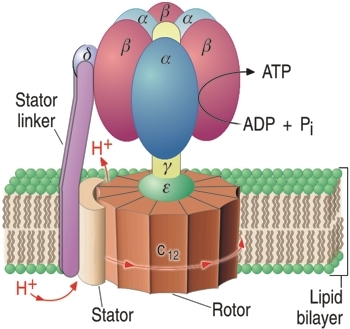 Another article states that this is a “unique energy transmission mechanism… not found in other biological systems” and “although there are other similar man-made systems like hydroelectric generators, F0F1-ATP synthase operates on the nanometer scale and works with extremely high efficiency.” The speed and accuracy of this mechanism is indeed unparalleled by man-made motors, and this intricate machine preceded man’s invention of the motor unbeknownst to him. So we actually know from experience that this kind of a design is likely to result from intelligent designer. And yet when we find it in nature we refuse to admit that it has a designer? Attempts to explain how the incredibly elegant and efficient motor found across all of life on earth was assembled by random chance are, predictably, quite contrived. The few weak attempts currently proposed are discussed briefly but in substantial technical detail here. Science honestly has no good explanation. The truth of the matter is that an extremely high number of “ingeniously designed” motors of incredibly small size are responsible for creating the ATP necessary to sustain the life we see around us, and the contrived explanations for its unguided evolution require processes that, on top of being embarrassingly unsatisfactory, would also require the use of large amounts of… guess what? ATP! It is analogous to saying that the very first electric power generator was produced by machines plugged into high amounts of electricity. 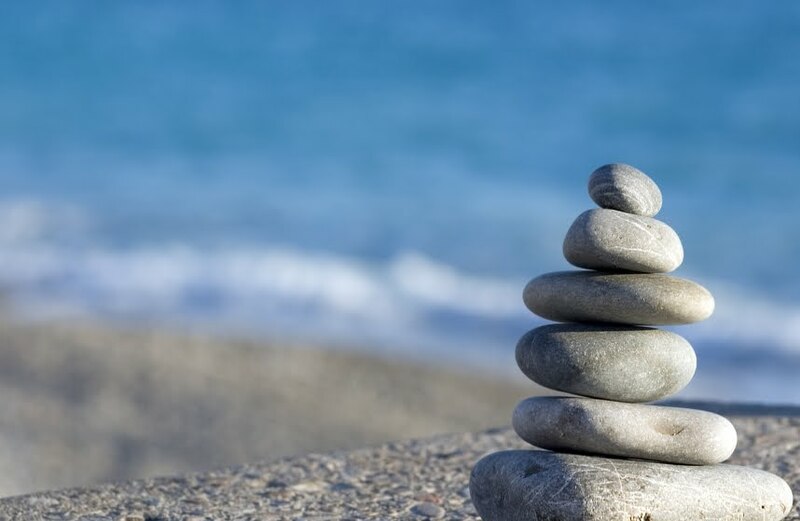 God has set in motion processes with so many interconnected, dependent, fine-tuned and intricately designed pieces that suggesting that they spontaneously built themselves by sheer chance is at least unsatisfactory if not ridiculous. Sarfati, Jonathan D. The Greatest Hoax on Earth? : Refuting Dawkins on Evolution. Atlanta, Ga.: Creation Book, 2010. Print. Natural Selection: Evidence for Macroevolution? I remember being a sophomore in high school when my biology teacher announced that we would be studying evolution in the coming weeks. Honestly, I was excited. That might be surprising since macroevolution is inconsistent with my religious beliefs. But I understood that if evolution turned out to be true, it would mean an error in my hermeneutic, rather than necessarily indicating error in God’s words. I didn’t feel threatened by the theory, I felt intrigued by it. I also understood that the truth has nothing to fear from investigation. If my religious views were correct, there was no reason not to test them thoroughly. So what I had heard so many adults get so upset about, I saw as a personal opportunity to seek out the truth for myself. Despite a fairly large section of my textbook dedicated to the subject, I was truly shocked by the lack of conclusive evidence in the book. There were a few vague statements about genetic mutations, and numerous, exhaustive examples of natural selection. It was as if natural selection was evolution at work and we should need no further proof. Natural selection is very easy to understand. In any given environment, the organisms that are fit to thrive and reproduce in that environment grow in number, while those not suited to the environment are less successful at survival and reproduction and become rare or even die out. In this way, nature “selects” certain traits in the gene pool of an organism. For instance, in a species of moths with varying patterns on their wings, those with wing patterns that camouflage them against their environment more effectively will become more common. So, could this process not drive evolution? Use some basic critical thinking skills with me for a moment. 1) Natural selection never creates any new genetic information. 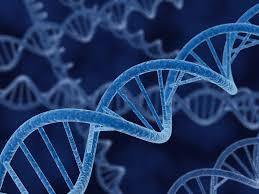 In order for a species to evolve into a higher species, it must acquire new genetic material. But natural selection does not introduce even one bit of new genetic information into the gene pool of a species, it simply changes the prevalences of various traits within the gene pool in that specific setting. 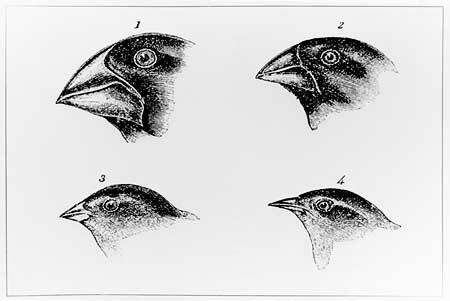 Natural selection didn’t create moths with certain wing patterns, or finches with certain sized beaks, it simply made those traits, which were already present in the gene pool to begin with, more common in that area. I’m sorry if you know your science and find this kind of review condescending. But it amazes me how many young people who subscribe to macroevolution think that natural selection demonstrates it. 2) Genetic limits within species. Dogs are a great illustration for this point because they have such an amazing degree of genetic variability within their gene pool. Starting with wild dogs and given a few centuries, we have bred them into everything from chihuahuas to great danes and bull mastiffs. This wasn’t just natural selection. This was guided, intelligent selection on a huge scale. So, if we wanted, could we breed dogs into cheetahs? What about whales? Stupid questions. A dog will always be a dog because there are genetic limits in its DNA. It can only present the morphologies that correspond to its genetics, and all of our breeding introduces no new genetic material. Once again, we are changing the prevalences and frequencies of genetic information, but we are not creating any of it. Not macroevolution. 3) Natural selection would almost surely work against many of the changes that would have been necessary between species. If reptiles evolved into birds, explain to me how scales evolved into feathers and arms evolved into wings. Remember that every step we take must be more fit to the animal’s environment that the one before it, or natural processes won’t select it. Its going to take some very creative thinking to dream up why nature would select an arm/wing-scale/feather hybrid over a fully functioning, elegantly designed normal reptile. Natural selection won’t tolerate those kinds of ridiculous morphological leaps. The real question is whether or not genetic mutations are capable of introducing new, beneficial genetic information into the genetic makeup of an organism in ways drastic enough to drive evolution. For instance, can a species feasibly change its number of chromosomes? (Chimps have 48, humans have 46) Can we explain the emergence of two distinct, codependent sexes through mutations alone? These things haven’t been demonstrated satisfactorily for me. And that is where the discussion needs to happen. Mentioning natural selection to me again is not fruitful. Take a look at the comments section on a controversial youtube video at the intersection of science, philosophy, and faith of any kind, and… In fact, I can’t in good conscience recommend that you actually take a look at one of those comment sections because quite honestly, they tend to be filled with vulgar, immature and profane filth. On the occasion that I do decide to take a look at the comments, I normally learn nothing and regret being exposed to such distasteful and negative content. We are all, as human beings, on this strange and wonderful journey through life together. Since when did disagreeing, even about extremely serious issues, become grounds for hatred and attacks on each other’s intellects and characters? What if we all just sat down together and reasoned through things peacefully? I’m speaking to believers and atheists, creationists and evolutionists, liberals and conservatives, everyone equally here. Could it be that you become so outrageously defensive about your position because you are either personally insecure, or secretly uncertain about your position? If not, maybe you are overly defensive because you’ve subscribed to false notions about the nature of those who disagree with you. And if your opponents are indeed vile, wicked human beings, let me ask another question. How should someone such as yourself, with your personal wisdom and knowledge of the truth, feel about someone so depraved? Enraged? When Jesus looked down from the cross on his executioners, He felt pity. He prayed that God would forgive them in their ignorance. What a beautiful sentiment. I’d like to claim that with great knowledge comes great humility. Here are some reasons why. 1) Objective proof is a myth. Theory of mind is the ability to realize that you, and others, have unique autonomous minds. Why is it called the theory of mind, because honestly there is no way to verify its truthfulness. I know that I have a mind, “I think, therefore I am,” but I can only assume that anyone else does. I also don’t know that my memories are things that actually happened. So even in a world where “reason” and “faith” are often portrayed as opposites, reason itself rests on many faiths that we take for granted. That’s humbling. In psychology, phenomenology is the study of how our perceptions may differ from reality. In cases such as schizophrenia, the concept is obvious. But research, and reflection on personal experiences with yourself and others, reveals that your mind is interpreting sensory inputs and ideas in its own biased way. If you can’t admit that you have bias, you’re living in a dream world. If you don’t realize the need to think as objectively and humbly as possible when discussing issues with those of different views, you are probably talking past them. Which brings me to the third and final reason for humility. Think about the circumstances that brought you to the beliefs that you hold today. Somewhere somehow you learned what you believe to be true. Just like the supporters of slavery in early American history. Just like Christians, Muslims, Buddhists, and Atheists all over the world. And if what you happened to learn from who you happened to learn it happens to be true within this vast sea of wrong ideas that covers the earth, I can’t think of a more humbling experience. You are lucky. And also in that case, I’m guessing you’re able to sit down and have a civil, thoughtful, insightful discussion on the subject. After all, you’re the expert. Maybe you’ve seen an image of one of these beautiful butterflies before. 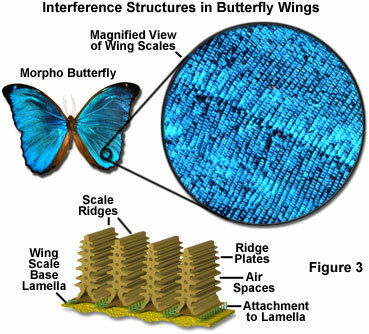 They are called Morpho butterflies. There are several species with wingspans ranging from 3 to 8 inches. Their beautifully colored wings have a metallic sheen that varies noticeably in color depending on the angle at which you view them. What if I told you that these beautiful colors were not due to pigment? 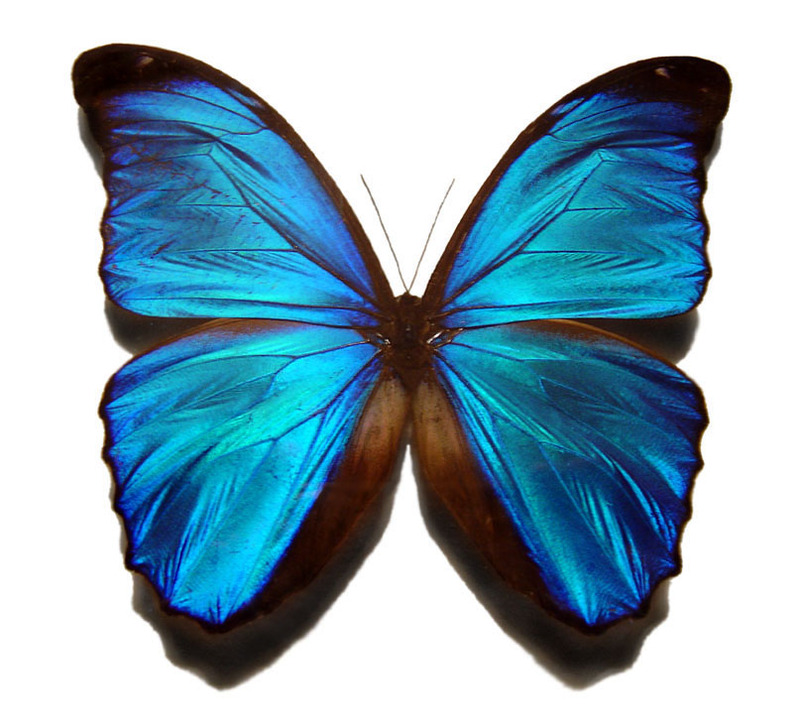 The blue morpho doesn’t actually have blue pigment at all! To discover what makes them blue, we will have to take a closer look. Viewing a few of its scales reveals that they are largely translucent, but still doesn’t reveal the stunning technology present on this butterfly’s wings. 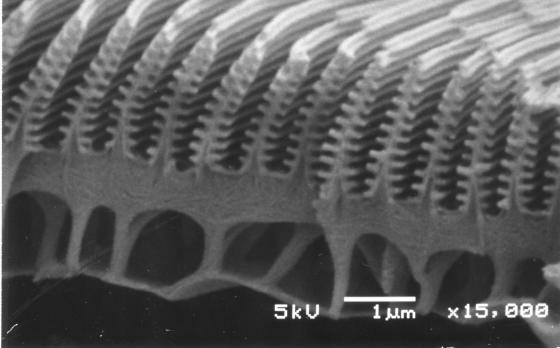 Take a look at this image, at 10,000 times magnification, of a morpho scale. 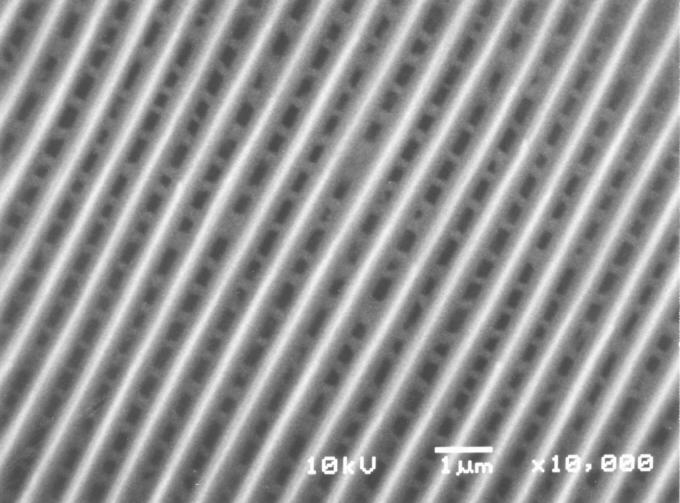 The ridges you see are something like the strait rows of a forrest of photonic crystals. With 15,000 times magnification we can see the actual shapes of these crystals in a cross- section. These christmas tree shaped structures are not made of a blue material or colored with a blue pigment. They operate on a principle of physics known as interference, or wave propagation. According to Nobre, these crystals are so sophisticated that at the time of their discovery, man had not developed a comparable technology. This type of structure has since been used to create some very beautiful color display monitors. Man often borrows his inspiration, or even his actual technology from nature. But imagine the kind of creativity present in a Mind that could conceive of these things out of nothing. Consider finally the difficulty of explaining this kind of biological technology from a macroevolutionary standpoint. The evolution of a structure would require that it change slowly from some less sophisticated or at least different structure into the new one over thousands or millions of years. This evolution would include countless transitionary phases that lacked the sophisticated functionality of the final product. So what feasible transitionary stage is there between using pigment and using a perfectly organized and elegantly designed microscopic forrest of highly sophisticated crystals which are in fact not colorful themselves but create stunning colors through light wave interference? Only in their fully developed form would these crystals create the desired effect. Evolution would have had no incentive to labor through countless years of worthless transitionary structures to get there. God on the other hand, had a beautiful incentive. To show us the grandeur He was capable of putting into His creation. To give us, as this creature has given Nobre and his associates, a glimpse into the kinds of beauty we may one day see in heaven. Science enjoys a prominent status in the minds of millions as the gold standard of academic disciplines. While philosophy, religion, art, music, etc. are created by humans and thus fallible, science is distinguished from them as an infallible discipline which uncovers incontrovertible truths. I’m well aware that the majority of informed scientists would concede that nothing can be truly proven with 100% certainty, and I agree with them, but the fact remains that scientists go around claiming to have discovered things that simply cannot be denied by any rational person. It bears consideration that we would exalt our certainty in one discipline above others. Why are they so confident? Why are we, as a society, so comfortable with holding up science as the pinnacle of certainty in such an uncertain and all-too-human world? Human error saturates our relationships and experiences, but science, we feel, is different. Are we justified in feeling this way? In many cases, I think, yes. We are justified in holding up science as a pinnacle of certainty, relatively speaking. Not to the same extent that we can be certain of the rules of math and logic. Not to the extent that I hold a personal conviction in the existence of God due to my own personal experiences. But in a world where nothing is – technically speaking – certain, science has an impressive integrity that it derives from some corrective measures that it includes in its definition. I should make it absolutely clear that at this point I am speaking of science as a method of gaining knowledge about the world around us and using that knowledge to make accurate predictions. I am certainly not speaking on behalf of every branch of, and assertion made by, the field of academia known in the contemporary world as science. But science, inasmuch as it can identify constant and therefore predictable behaviors in the world around us when variables are manipulated, is a pretty sure thing. To give an extremely simple example, the laws we have discovered about gravity dictate that if I drop a rock out of my window, it will fall to the ground. I do not technically know for sure that this will happen unless I try it, but this experiment has been performed so many times with the same results in so many places in so many time periods of human existence that my degree of certainty is extremely high. So the reason why we lift up science as a pinnacle of certainty is because it involves repeated experiments and observations. When we discover long term, stable, repeatable results from an experiment, we begin to trust those results as things of certainty. This has allowed us to systematically create some amazing machines in the worlds of computers, engineering, and technology. It is truly phenomenal what bright minds have done with science in the past several decades especially, and indeed in the last several centuries also. So, does macroevolution qualify as this kind of science, and thus receive the status of certainty that we confer on other scientific discoveries? Earlier this year I watched the Ken Ham/Bill Nye debate concerning evolution vs. creation. Ham repeatedly stated that evolution was historical science rather than observational science, and thus it was essentially reduced to mere conjecture. I think Ham may have been on the right track, but his distinction was overly simplistic and lacked practical weight. Yes, some sciences are historical, because they deal with understanding the past. But it doesn’t necessarily follow that this makes a reasonable degree of certainty about the past impossible. For example, on a crime scene, we expect investigators to dust for fingerprints, collect DNA samples, observe the many markers that the crime may have left on the scene, and come to relatively certain conclusions based on the data that they collect. Now, does this kind of science lose a little bit of certainty. Yes, a little. Just because someone’s fingerprints are on the knife, and their DNA is on the victim, and rubber from their tires is on the street at the victims house, and they had a good reason to kill the victim, and an honest person said they saw the suspect do it, doesn’t make us certain that they committed the crime. But to simply dismiss all of this evidence as “historical science” because it wasn’t actually observed is not justified. Using observations made in the present to make reasonable assertions about the past is a practice strong enough to hold up in court. And in fact, creationists do it, too. We didn’t observe creation. 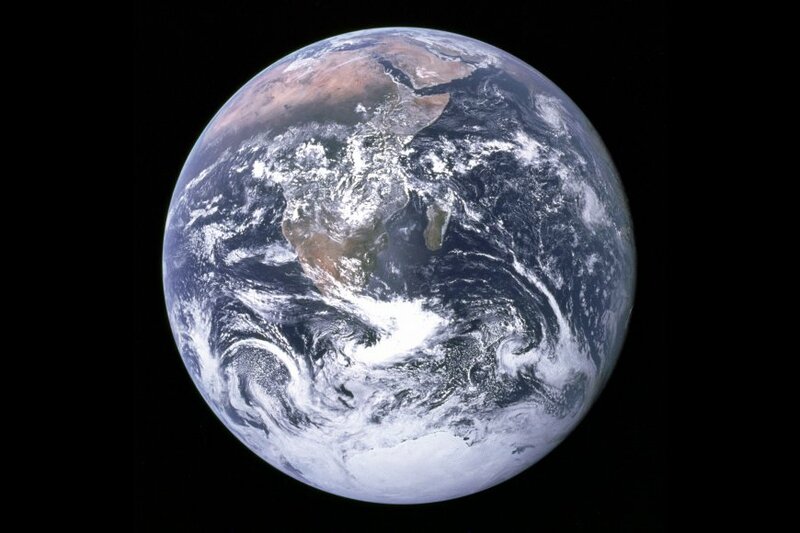 We weren’t there when God made the stars or the plants or the animals. But we have a satisfactory degree of certainty about the event based on what we have seen within our short lives. Macroevolution isn’t science because its consistency is only demonstrated through “explanatory and predictive power,” and these are indicators of correlation, not causation. Macroevolutionary biology is championed by atheists and widely propagated by the scientific world. Its validity is supposedly demonstrated by its power to explain why the world is the way that it is, and its ability to predict new discoveries about the way the world is. No, macroevolution cannot be observed, but it can explain why we find the correlation we do between the morphological and genetic hierarchies of organisms, and a fossil record that matches both of these. But can I just point out that there could literally be millions of theories that could explain perfectly why the world is the way that it is? If I discover that morphological, genetic, and fossil data all cross-confirm each other and then say “AH HA! The Flying Spaghetti Monster – sometimes used by atheists for satirical purposes – created the world so that it would be exactly this way!” then objectively speaking, my explanation has just as much explanatory power as macroevolution. I would also like to point out that of course, if God used DNA as the blueprints for the physical features of all organisms, then wouldn’t we expect those organisms with more similar physical features to also have more similar DNA? Then if we consider the possibility of a worldwide flood a few thousand years ago, I’m already seeing some plausible explanations for the fossil record, including the “Cambrian Explosion” that gives evolutionists such a hard time. The “predictive power” of evolution can be investigated by a simple google search and a critical investigation. This field, like any field, is much too vast to be addressed in one short article. I think you will find that data is quite frequently interpreted to reinforce the predictions which the scientists already expected. Here is an area where human error can easily creep into science: we tend to perceive what we expect. If we say “evolution predicts that we will find transitionary fossils between other primates and man,” and we expect it to be so, and we also have millions of dollars of grant money on the line (sometimes I get the idea that the people with all the money want to degrade our morals,) then when we find an ancient skull with a larger jaw than the average human, we say “AH HA!” and invent a new species out of it. I know I don’t have time to get into real scientific depth here, but all of the “transitionary fossils” that we find could easily be accounted for by variations within the bone structures of the organisms we see in the world around us today or in recent history. That’s why the “evolutionary tree” illustration is actually more like a mile wide bush, getting wider and wider with new fossil discoveries. But that wouldn’t look very nice in TIME magazine and would require a several page fold out. And the methods used to date all of these discoveries over the decades? Carbon 14 dating. Which may actually be completely and wildly unreliable. Researching dating methods a couple of years ago really opened my eyes to the uncertainty of the scientific community over dating things anywhere close to accurately. I’m going to reign it back in now. The underlying principle here, is that a correlation between what a theory explains or predicts and the reality that we find, does not prove that the theory is true, only that its explanations and predictions correlate with the data. On these grounds I find evolution and creation rather equally matched. Both accurately explain and predict things about our world. Neither can be observed or objectively, universally tested. Of course, in my opinion, when you bring the human experience and philosophy into the picture, Creationism comes out squarely on top. But the point of this article is that Macro Evolution is NOT science because the correlation between its “explanatory and predictive mechanisms” and our reality is woefully insufficient grounds for certainty. Besides the fact that there are no plausible explanations as to how we got the first living organism, with all of its necessary proteins, by mere chance with no intelligent intervention, or that genetic mutations, even when beneficial, don’t create new meaningful information in the genetic code and thus evolution has no viable mode of progression. I suspect that within my lifetime – this is if the masses are not brainwashed beyond recovery – we may have dispensed with the idea altogether.